Find My Workspace lists over 95% of the serviced offices market in Huangpu. Simply click Request Quote to check pricing for one office, or Add to Basket for multiple offices. This centre occupies the 18th floor of a stunning and prestigious recent addition to Shanghai’s impressive commercial landscape. A certified Grade A landmark building, this is one of the most modern and well-designed commercial developments in Shanghai. 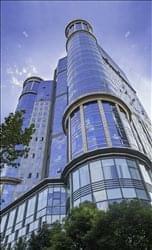 This business centre is located in the Huaihai central business district in a stylish 38-storey twin-building complex. The centre is close to Xintiandi, a modern multifunctional shopping, dining and entertainment centre installed in the historical ‘Shikumen’ buildings, with the People’s Square, Shanghai Museum and the Municipal Government building within walking distance. 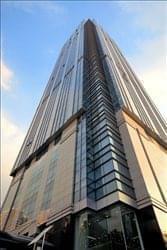 The high-end mixed development encompasses office tower, 5-star serviced apartments, and modern shopping arcade. 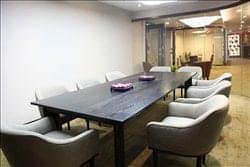 Located in a Grade A commercial office tower along Huai Hai Zhong Road. This is the main business district near the People’s Square, Xintiandi and the MRT/Metro station here. We have a dedicated team of bilingual staff who ensure that companies are able to operate at a conducive and convenient office. The business centre also is the ideal solution for visiting expatriates, mobile executives and new businesses seeking immediate fully furnished offices with efficient support for a variable duration. 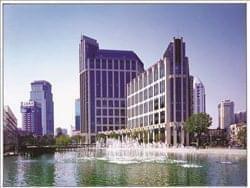 This Center is located in the heart of the upscale Huaihai road business and entertainment area, offering one of the most unique high-end office environments in the dynamic city of Shanghai. 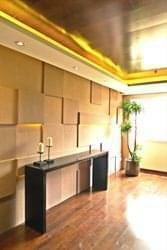 In this prestigious address, you can be sure to impress clients and visitors. This brand new business center, located in the heart of Shanghai commercial district of Luwan / Huangpu, is bright and equiped with highly advanced telecommunication technologies. With Okura Hotel, Oriental Shopping Centre and other major commercial buildings close by; it is easily accessible with the underground subway line 1 South Shaanxi Road in a few minutes’ walk away. This unbeatable convenient location makes the New Hualian Mansion Centre an ideal choice for businesses. This business centre prides itself with a few achievements – for its most prime location in Shanghai, and for its high client-value and client-retention rates. A lively, and a committed team work to make the clients feel welcomed, and the occassional tea-parties allow for clients’ mingling, and networking. This is more than the conventional office workspace. 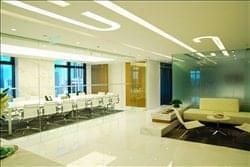 Located in the heart of Shanghai, People’s Square, this is a new business center. The center is equipped with advanced IT systems, conveniently accessible meeting rooms, rich common areas and spacious lounge. The building is surrounded by upscale restaurants, shops and other commercial buildings housing businesses from various industries from international trade, consulting, education and finance service. The business center offers panoramic views of Huangpu River and spectacular views of Pudong Lujiazui. Featuring premium Grade A office buildings with commercial and entertainment complexes, this centre covers a gross floor area of approximately 254,000 sq m. Offering the latest ‘smart’ building services and facilities, this centre is developed for multinational companies in Shanghai and is destined to become the core of the Luwan business district in downtown Shanghai. It has been designed with the LEED Gold-level standard to offer a more intelligent and green life style for its tenants. This centre offers a superb state-of-the-art serviced office facility with high-quality furnishings, generous filing space, multiple meeting rooms, high-speed Internet and breakout areas in a distinguished business environment. It is truly your ultimate choice for your business. This business centre provides you with a high-level corporate image. All offices have a complete access control system to protect your privacy and security of your business, along with a full set of office furniture and equipment. The centre also has advanced network systems and professional secretarial services to provide a multi-faceted business services, help clients to promote business, and enhance their corporate image. There are clean and elegant lounge areas, which can provide you with coffee, green tea / black tea all day free of charge to, and this is the ideal place for business meetings. This centre combines the modern urban Shanghai ‘cool’ with stylish and functional professional office and meeting facilities, setting this centre in a class of its own. This centre aims to raise the bar as to what really defines a ‘serviced office’. Inside the centre and your office is a comfortable, elegant, and professional environment which enhances staff productivity. Outside the centre, a gamut of choices for fun, relaxation, and corporate entertainment are only a step away. 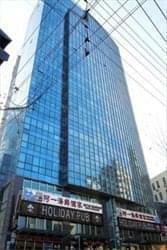 Located on the prestigious Huaihai Road in an impressive high-rise building, this center is equipped with advanced management system and integrated cabling systems and optical fiber network. Home to many multinational corporations including those working in IT, pharmaceuticals and consulting firms, the building is a well-known landmark in the area. As well as offices, the building contains a shopping mall and restaurants. The centre has 40 offices starting from 2 to 16 workstations, with nearby shopping malls with a wide variety of major International retailers, 5-star hotels, and transportation hubs. 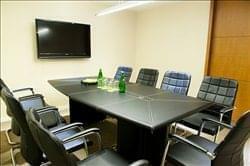 Located on the 10th floor, the business center is fitted out in a bright, contemporary style, with fully furnished offices and state-of- the-art IT & Telecom equipment. Encompassing the building is a dazzling 360-degree view including Huaihai Park, People’s Square and some of the most famous hallmark architecture in Shanghai, such as the Shanghai Theater. 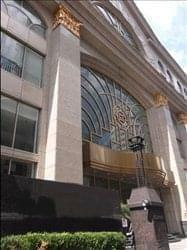 Offering first class facilities and a prestigious business address, this centre is located at the west side of People’s Square. It has full supporting amenities, and is only a short walk from the transportation network. 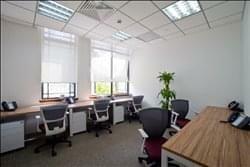 Offering high-quality serviced offices in the prime business district in Shanghai. 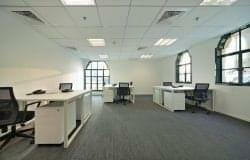 This new centre offers fully managed and serviced office space in flexible and cost-effective terms. 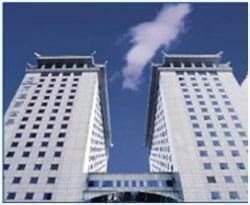 The centre is situated on the 16th floor in 1,100 m². Most of the offices feature windows with panoramic views. From business lounges through to conference suites, our fully furnished meeting rooms are available to hire by the hour or by the day. 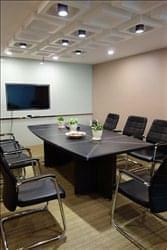 Located in Puxi on Nanjing West Road, this serviced office centre is in the heart of Shanghai’s central business district and a block away from People’s Square. Nanjing Road is a premium location for any businesses. The center is fully equipped with 36 offices starting from 2 to 15 workstations. This centre grants its clients a market-beating combination of comfort, facilities and features. From the 23rd floor of the building, there is a tremendous view of the city. The building is home to many high-profile international corporations such as those working in technology, consulting, law firms and electronics. This Grade A office building is about four years old. All offices are all furnished with Haworth desks and chairs. This centre is the only building with a sky garden inside. The tastefully furnished serviced offices create a modern, comfortable setting catering for the dynamic changing and demanding needs of today’s businesses. This centre is located on the top floor of Raffles City, which comprises a 51-storey Grade A office tower and an eight-storey shopping mall. 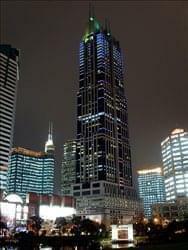 This centre offers panoramic views of Huangpu River and spectacular views of Pudong. With easy access to many means of public transportation including metro, taxi and bus, Raffles City has excellent connections to other districts and facilities in Shanghai. 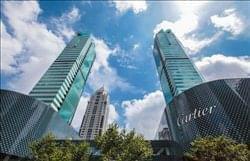 In addition to the Raffles City mall, which itself offers many brand-name restaurants and coffee shops, other amenities nearby include Radisson and Le Meridien hotels, Industrial and Commercial Bank of China, China Merchants Bank and China Construction Bank. 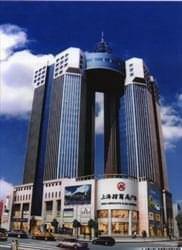 A Grade A commercial building, the ‘landmark’ of the Hongqiao central business district. This 30-storey office building located in the Shanghai Hongqiao Economic and Technological Development Zone, comprises three main buildings. Known as a fully integrated business centre and a world-class exposition centre, it is located in one of Shanghai’s largest international trading and exhibition complexes close to the Japanese and Korean consulates, and is an important location for business travellers. 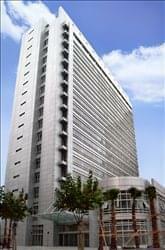 The Millennium Hongqiao Hotel Shanghai is within walking distance. This centre boasts a boutique office environment paired with premium service and world class IT infrastructure. Each client is allocated with their own personal Global V.P.N. accompanied with a guarantee of 99.98% internet uptime for optimum speed. The impressive meeting facilities are perfect for business meetings large or small and our dedicated support team ensures you have everything you need to keep your business running smoothly. This amazing building offers fully furnished offices. Each workstation includes executive desk, chair and pedestal. This ideal package offers a range of amenities including personalized telephone answering with exclusive phone number, complimentary usage of conference room, complimentary coffee, tea and daily newspapers, business license registration. Limousine services and virtual office plans are also available. To obtain information for your selected Huangpu Serviced Offices, please tick the "Add to basket" box for each office you prefer and complete the form below. We will then send a detailed report via email.